The French supermarket chain’s local unit raised $1.6 bln in the country’s biggest stock offering in four years. Rising deal flow suggests growing confidence Latin America’s largest economy is getting back on track. But the recovery’s pace is tepid, and sensible pricing is key. 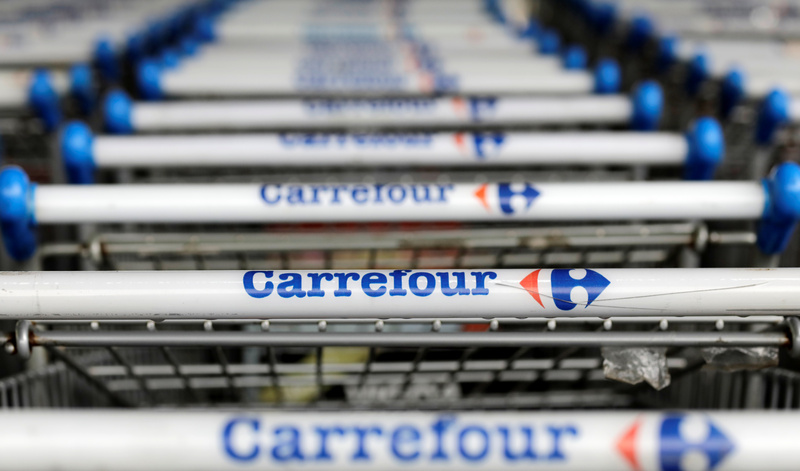 The logo of France-based food retailer Carrefour is seen on shopping trolleys in Sao Paulo, Brazil July 18, 2017. Grupo Carrefour Brasil's initial public offering on the Sao Paulo stock exchange priced at 15 reais per share on July 18, near the low end of its suggested price range, raising 5.1 billion reais ($1.6 billion). The Brazilian unit of the French supermarket chain had hoped to raise up to 5.6 billion reais if the IPO had priced at its suggested range ceiling of 19 reais per share. The Brazilian economy is expected to grow around 0.3 percent in 2017 after shrinking almost 4 percent in each of the previous two years, according to the latest weekly central-bank survey.